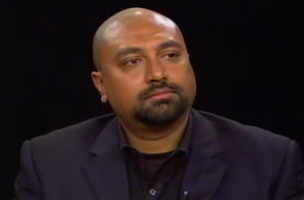 Bobby Ghosh, who took over as Time International’s editor just last year, is leaving the magazine to join Quartz as its managing editor. Ghosh had been with Time since 1998. During is tenure at Time Ghosh held a variety of roles. He served as Baghdad bureau chief and a correspondent in Hong Kong, New Delhi, Mumbai, Kolkata and Washington DC. In 2007, Ghosh moved to London to become a senior editor at Time Europe, making him the magazine’s first non-American World editor. “Bobby brings a sophisticated curiosity about the world, an obsessive news focus, and a strong identification with Quartz’s mission to cover the new global economy’s most important and interesting facets,” said Quartz’s editor, Kevin Delaney, in a memo. Ghosh begins at Quartz next month.